England also squandered leads against South Africa and New Zealand over the past year and held an advantage against Wales before Warren Gatland’s men came roaring back en route to winning the Grand Slam. 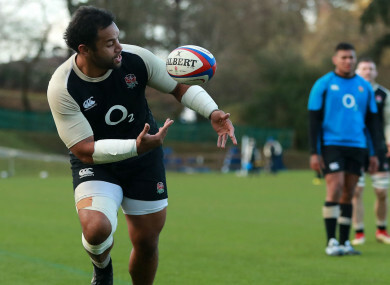 Vunipola, who could be set for a reprimand from Jones after he and Ben Te’o reportedly arrived back at the team hotel in the early hours of Sunday morning, added that he feels there are positives to take from England’s campaign. “I’m disappointed we didn’t win the whole thing. We did a lot of good things, we did a lot of positive things within the tournament,” he added. Email “Vunipola: Mental weakness not an issue for England”. Feedback on “Vunipola: Mental weakness not an issue for England”.